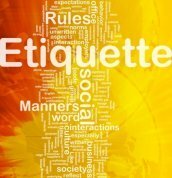 "Pet etiquette" is a relatively new term. It came about because more and more people are adopting animals and bringing them into social situations. Pets add a great level of comfort and entertainment to our lives. But, as with humans, when we socialize with our animals in tow, there are protocols to be observed that keep interactions civil. It's no fun to have a pet who can't behave. Perhaps you avoid inviting people to your home, or are unable to take your dog for walks on the beach. Humans are social, so it's important that our pets be, too. Before you adopt an animal, do as much research as possible to determine if he'll be a good fit for your lifestyle and your home. Find out if his breed is energetic or a laid-back type. Will he require regular grooming? Will he be easy to train or have a stubborn disposition? If you already have an animal who is not fitting in, it is imperative that you find a resource to help the situation. Ask your friends and family to refer a trainer or animal behavior expert. It will be well worth the investment! And in the meantime, help those you socialize with understand that you are trying to remedy the issue. Ask for their understanding, but give a little understanding as well if they would rather not spend time with your pet. Pet etiquette actually begins with people. Depending on your home, lifestyle, and the people with whom you share your life, there may be many expectations placed on your pet. 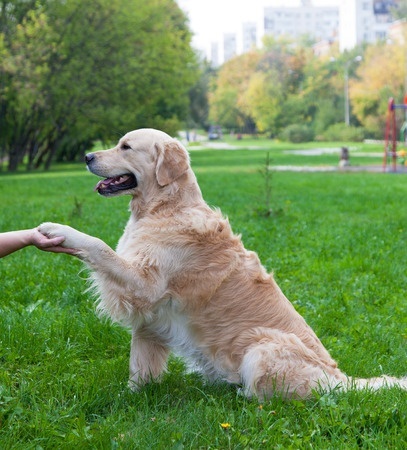 If you have an animal who is being trained on certain commands and behaviors, it is appropriate to ask visitors, pet sitters, and friends to comply with what you are teaching. For instance, when a friend comes in your home, and your dog is being trained not to jump on people, ask your friend to use the exact command and body language that will help your dog keep her feet on the floor. You might also need to ask folks to wait at the door after knocking. It may take some time to place your animals where they need to be if you're training them to stay away from the door when people enter. In other words, it's necessary to train other people along with your pet. Explain how important your animal is to you and that, in order to help your furry companion behave appropriately, you'd appreciate their help. You may even inspire your friends and family to bring pets into their homes as well! After all, there are thousands of animals waiting for a loving home.